The offseason will be getting here very soon. About a week after the World Series ends, MLB free agency will begin. The Cubs’ free agents are Daniel Murphy, Jesse Chavez, Justin Wilson, Jorge De La Rosa, Jaime Garcia, Bobby Wilson and a few more who have options like Cole Hamels, Pedro Strop, and Brandon Kintzler. With Bryce Harper’s name looming on the horizon as the Cubs’ main target, this offseason could see the biggest roster turnover the Cubs have done in a while. Most players are safe and the Cubs could see as many as 7 or 8 new Cubs come opening day in 2019. With the Red Sox up 3-1, free agency is getting here very quickly. As well, the Cubs’ minor league system will be no stranger to free agency, either. Anthony Bass selected free agency this week and should have no trouble finding a gig based on his year as a Cub. In addition, 5 days after the World Series ends, the following MiLB Cubs become free agents: Kyle Ryan, Jeffrey Baez, Erick Leal, Alberto Baldonado, Cory Mazzoni, Bijan Rademacher, Daury Torrez, Corey Black, Jose Paulino, Trey Martin, Ryan Court, Stephen Bruno, Yasiel Balaguert, Wynton Bernard, Jose Rosario, Chris Coghlan, and Casey Coleman. I wonder if this is the year the Cubs let several of them go and test the waters. Nico Hoerner just keeps drawing more and more attention. I would not be surprised to see him on Top 100 prospect lists when the AFL season is done. After Friday’s 4/5 performance, Hoerner’s batting average has made it to .373 in 12 games. The Arizona Fall League is now half over and the 9 Cub prospects are having mixed results. Surprisingly, Trent Giambrone is having a more powerful fall than Nico. Giambrone, in just 5 games, is hitting .435 with a .480 OBP and a 1.219 OPS with 2 HRs and 5 RBI. All four Cub pitchers are doing it up in style. Erick Leal and Manny Rondon have yet to allow a run in 3 weeks of action. Bailey Clark just allowed his first run yesterday. Justin Steele, after a rough first outing, has been excellent since and is hitting 95 on the gun regularly. On the other hand, OF DJ Wilson and catchers Jhonny Pereda and PJ Higgins have struggled at the plate. Hopefully, all three can improve over the next three weeks. At the minimum, it gives the three young hitters a wakeup call on what to get ready for in 2019. 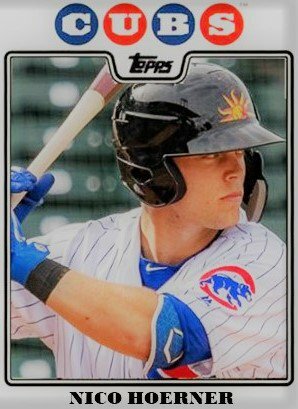 If I was to redo my Top 21 list today, this fall’s performances would move Trent Giambrone onto the list. Nico has been #1 since September and his fall only reinforces his selection. I am excited to see how the rest of the AFL season unfolds. Between MiLB, the Arizona Fall League, and the affiliate accounts, I am still getting plenty of pics to make baseball cards this fall. So far, I hit the 60+ card mark. 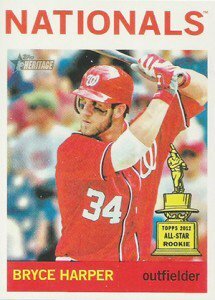 I thought about doing a top ten card post about October as there are some high quality cards in the folder. Instead, I will just wait until January to finish that up. In the meantime, check out the album. In Affiliate News, congrats to the Ems! Words that describe how we feel about winning this year’s Larry MacPhail Award, given to the team with the top promotional efforts in @MiLB. I will be putting out my annual “State of the Cubs” posts this week. One will be on the major league club and one on the minor league system. Additionally, I have a post on Nico Hoerner coming out today over at Cubs Insider. As well, I will examine the Cubs’ 2015 IFA class’ progress at BP Wrigleyville tomorrow. 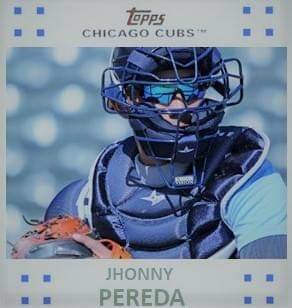 ‹ PreviousWhat Will Be the Top Relieving Storylines in 2019 for Cub Prospects?